It gets dark, but there is hope. I recommend this book to anyone who has been touched by addiction. This is why. Graham is a drug addict and Susan is the woman who loves him. In alternating chapters, in their own voices, they each tell a story about the worst parts of drug addiction - lies and deceit, denial, arrests, broken promises, relapse, arrests and incarceration. It gets dark, guys. Very dark. But together Graham and Susan show us that there is hope beneath despair. Addiction is not a death sentence. You can stand beside an addicted loved one without being an enabler, or codependent. 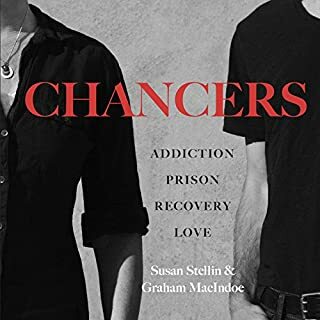 This book will NOT ask you to believe that love alone can overcome addiction. But it does suggest that love (in the form of setting judgment aside and offering forgiveness) can make one hell of a difference. 'Coldest Girl' is on Fire! 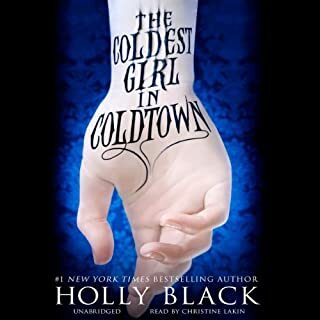 The title of Holly Black’s “The Coldest Girl in Coldtown” is a bit of a misnomer, because throughout this book main character Tana is on fire! The book opens with Tana waking up the morning after a party to discover that vampires have slaughtered everyone in the house. The only survivors are Tana, her bitten (and infected) ex-boyfriend Aiden and a handsome, mysterious vampire named Gavriel. Unsure if vampires are still in the house, Tana makes a snap decision – she is going to rescue Aiden and Gavriel. She stops at nothing to ensure the three of them get out of the house unharmed. In a world where most teenagers are fascinated by vampires and will go to great lengths to be turned, Tana holds a different viewpoint. She does not romanticize vampires. Rather, she recognizes how dangerous they are. She remembers all too well how badly her mother suffered after being bitten. Now Tana finds herself traveling with Aiden, who is infected, and Gavriel, who is a vampire. By law, anyone who has been infected or exposed to a vampire must turn themselves into the authorities or report to the nearest Coldtown immediately. So to Coldtown they go. Coldtown is a strange and fascinating world where vampires and humans co-exist. Tana soon finds herself drawn into this world. Her dangerous attraction to Gavriel grows stronger even as she becomes entangled with a powerful vampire who has the power to destroy everything she holds dear. Narrator Christine Lakin does a wonderful job with the narration. Her voice is smooth and youthful, with a touch of humor that suits Tana perfectly. "Never Again," Richard La Plante promised after he and his new wife completed building their family home in East Hampton, New York. But he did not keep his promise. Instead, he bought twenty acres of raw land on a mountaintop located three and half thousand miles away, in a small town that he had only visited by internet.... And the nightmare began. A house in New York to sell, a massive loan to pay off for the newly purchased land, dishonest builders, some of the most stringent building codes in America, and the economic collapse of 2008. After 11 years of marriage, my husband and I are about to renovate a house together for the first time. This means I need help, and fast! Naturally, I turned to Audible and searched for all things renovation, home-building and construction. 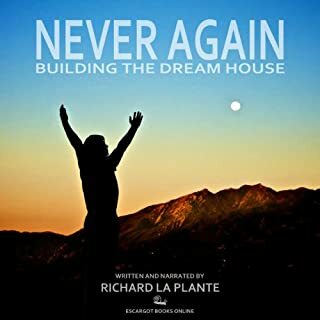 I happened upon Richard La Plante’s memoir “Never Again: Building the Dream House” and quickly realized it was just the sort of thing I was looking for, and more. Graciously, Richard La Plante agreed to talk with me about his memoir for the purpose of this review. Below are some of the highlights of our conversation. RN: Throughout the book you attribute nicknames to everyone of significance, from contractors to the black widow spider who took up residence in the bathroom. What made you choose to refer to Betina simply as “my wife” throughout the narrative? RLP: It wasn’t a time of great joy between husband and wife…we lost all our money, the county [we were building in] was a nightmare, we took seven years to build the house, stocks collapsed in 2008, it was a mess. It was rather an irrevocable break between husband and wife so I probably just referred to her as ‘my wife’ for that reason. RN: What advice would you give to a couple preparing to embark on a journey similar to yours and Betina’s? RLP: They better know each other very very well, know each other’s strengths and weaknesses, be accepting of each other’s strengths and weaknesses and be prepared for disagreements over the most minor things. As the process continues the level of exhaustion grows to such an extent that it’s like the straw that breaks the back. It might be a kitchen sink or a tap or a fixture or a builder that one likes and the other doesn’t but as it builds it’s like a snowball accumulating. Tension, stress and worry – particularly financial because these things always eat up more money than you have allocated. You’re in for it. I wouldn’t say don’t do it. I’ve done it several times. Just be aware that it’s going to put stress on you in areas that you have yet to be stressed. RN: A couple times in the book you make reference to bipolar disorder. Is this a condition you live with and, if so, what advantages or disadvantages did it lend during the building process? RLP: That was me joking! I’m neither manic depressive nor bipolar but there is truth inside the joke. The truth is when things are going well and you see how this thing can look there’s an incredible high. When the county inspector tells you your fireplace hasn’t been engineered properly and the floor won’t bear its weight and shuts you down for four months it’s an absolute low…it’s a roller coaster. RN: So it sounds like maybe everyone who’s building a house lives with extreme highs and lows. RLP: Well most people take on a foreman, or someone to run the building crew. They take on an architect who oversees it and they take on a construction company. We didn’t have any of those. The architect stayed for a week. He didn’t speak English – he’s Argentinian, a great architect. We took the plan and had it drafted so it was at least done in feet and not in meters. We were on our own from there. We hired all the builders, paid all the builders, we didn’t have anybody looking after the builders but us, there was nobody overseeing the general construction – it was us. So we took it all on to develop raw land into a house. We put wells in, we ran electricity up the side of a mountain…not everybody does it the way we did it and I wouldn’t advise anybody doing it that way without a really intimate knowledge of the building system, and we didn’t have it. RN: What was the motivation to take all that on? RLP: The most beautiful view you’ve ever seen. RN: Would you do it again? It should be noted that “Never Again” is not just about building a house. It’s also about building a life in Ojai, California, raising a family, keeping a marriage going, doing lots of exercise and building a career in one of the toughest towns for career building – Hollywood. La Plante’s writing is wonderfully candid and self-deprecating. He also narrates the book, so those elements of his writing are translated nicely into the audio version of the book. I would highly recommend “Never Again” not just to those who are building a dream house; but to anyone who has labored for the love of a dream. You will not be disappointed. BONUS: If you enjoy “Never Again” as much as I did, check out “Mantis,” another book by Richard La Plante on Audible. Equal Opportunities for Women...and Men! 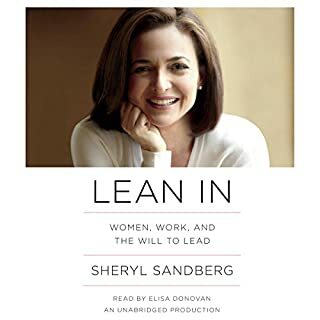 Far from a dull book about women in business, “Lean In” is about women’s final push for equality at work and at home. Facebook COO Sheryl Sandberg paints a compelling portrait of the women’s movement as it stands today. Sandberg pays homage to how far women have come, and articulates where women need to go to make it all the way. This book is organized into chapters that bring to light some of the common mistakes women make, such as choosing not to “sit at the table” at work, asking strangers to be their mentors, “leaving before they leave” by allowing future family plans to impact how far they advance in their careers and attempting to “do it all” when they have partners and spouses who are willing and able to assist. Narrator Elisa Donovan reads this book with conviction and emotion. Her performance is so convincing that if I didn’t know better I would have believed that Sandberg herself did the narration. Whether you are a working woman, a working mother, a stay-at-home mother or a man who loves one, this book is for you. It will open your eyes not just to women’s fight for equality, but also to men’s. This book will make you a better mother, father, woman and man. Got Me Excited About Renovating! I chose this book because my own husband and I are considering purchasing a home that would need renovating. I have never renovated a house before, and I wanted to get an idea of what it was like. Or, as I put it to my husband, I was hoping this book would help me “get into it.” I was not disappointed. Simon teaches the reader that home renovations take time – and lots of it. When undertaking such a project, one should be prepared to devote months and months toward the betterment of the home in question. There will be set backs along the way. One should avoid getting frustrated. As Simon’s husband Hal, the Buddhist architect, would tell you, these things are going to happen. No use getting upset about it. Another lesson of Simon’s is that while your home is being renovated, life happens. There are visits with siblings, parents and neighbors. There are health scares, business trips and work projects to complete. The renovation is an important part of your life, but it is not the sum total of your life. The rest of the world moves on whether you are renovating or not. 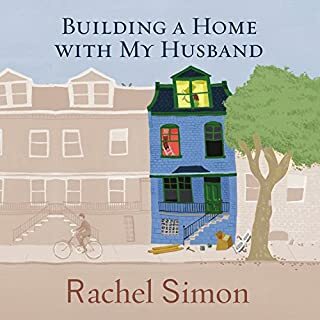 Finally, Simon does not presume to tell you that the renovation and the headaches that went along with it will be “worth it,” but she does express that the end result is a home you crafted out of your own imagination. Each part of it is yours, reflecting your taste and bearing your stamp of approval. In the end you have a place that may be more “home” to you than any other place you have lived – because you made it. 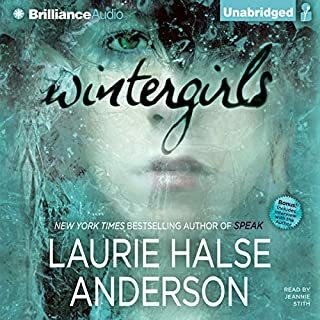 While I have no complaints about the performance by Laural Merlington, I would have liked it very much if this book had been narrated by author Rachel Simon. I have found that most works of non-fiction are enhanced when narrated by the person who lived the experience. However; if there had to be another narrator, Merlington did a stand up job. If you plan to renovate a home and would like some help “getting into it,” this book is an excellent choice. Listen to it with the loved one with whom you’ll be renovating, and learn together. The idea behind this speech is a good one. Why not take the mindful moves of Tai Chi and incorporate them into your walking for a better aligned experience? As a walker myself, I am all for anything that will enhance the quality of my walk and reduce or eliminate the possibility of getting injured. And Danny Dreyer's narration is infectious. His tone is light and conversational, engaging, even motivational. Overall, this speech has all the potential to be a five star listen. But, sadly, it falls short. 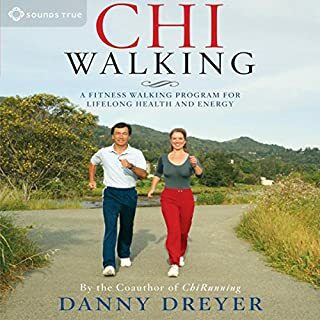 I thoroughly enjoyed the beginning of the speech where Dreyer discussed how Chi-Walking came to be and how the practice of Chi-Walking can enhance the quality of one's walking experience. I enjoyed learning about the skills necessary to achieve Chi-Walking, including focusing, body sensing, breathing and relaxing. Learning about these skills and how they can improve one's walking is nothing short of enlightening. Then it's time to learn Tai Chi, and all the fun is over. At this point, the pace of the speech slows to a grinding halt. From this point forward, Dreyer walks the listener through the moves of Tai Chi, explaining in minute detail how to adjust one's foot, how to straighten one's neck, how to tilt one's pelvis. An ideal listener does these moves along with Dreyer. I am not an ideal listener. However, I continued to listen. I kept waiting for the walking part of the book to commence, where I could listen to Dreyer coach me through Chi-Walking during my daily walks. This was slow to come by. When I finally did reach this portion of the speech, Dreyer spent so much time telling me how to listen to the next several tracks that it felt like we were never going to get to the walking. That's when I decided the speech should be called Chi-TALKING. If you are interested in learning the theory behind Chi-Walking, you will love the first part of this speech. You may even hang on Dreyer's every word, like I did. If you want to learn Tai Chi, you may also enjoy this speech. If you just want to start walking, you will find yourself constantly dissatisfied. My advice? Turn off the book and just go for a walk already! In “Wasted,” Marya Hornbacher’s battle with her body is nothing short of epic, but unlike a true epic it is far from heroic. Hornbacher is the unlikely antagonist in her own life story, hating her body to the very brink of death. “Wasted” captures every dramatic, painful and often repulsive detail. If you can bear to look at it, you will glimpse in raw form the gruesome reality of eating disorders. There is no glamor here. There is hunger, vomit, blood and bones. 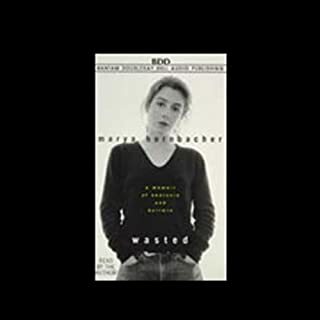 This abridged version of “Wasted,” read by Hornbacher herself, is so seamless that I did not even realize it was abridged until I discovered this fact in another listener’s review. Hornbacher is the perfect narrator. No other reader could get this story so right. But here is a secret – many years have passed since this book was written. 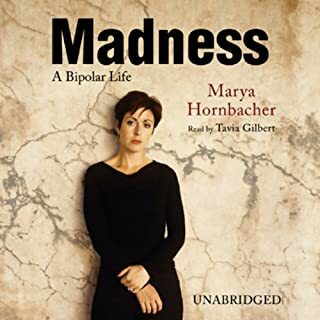 During those years Hornbacher continued to struggle with her eating disorder, and she came face to face with a terrible mental illness that left her grasping for sanity and hope (see “Madness: A Bipolar Life). In the end, she managed to do better than just let go. She conquered and overcame. And, lucky for the rest of us, she lived to write about it. 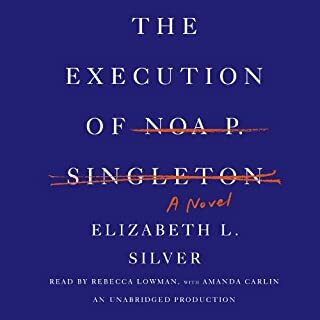 Sorry, but not the next "Gone Girl"
There is a lesson in Elizabeth L. Silver’s “The Execution of Noa P. Singleton.” The lesson is to hold those you love lightly, like butterflies, and give them the freedom to float away at their will. Noa P. Singleton is the product of two dysfunctional parents. Her mother is a constant disappointment. Her father, long-estranged from Noa, is taking tentative steps toward coming back into her life. Marlene Dixon is a mother who wants the best for her daughter. She is so driven toward this end that she enlists the help of Noa to ensure Sarah follows the path Marlene sees most fit. And so these two women are linked. Don’t be fooled that their connection starts at the beginning of the book, when Marlene, a high powered attorney, arrives at the prison to inform Noa of her plan to file a clemency appeal. Their connection runs much deeper. If you are reading this book because you’d like to hear about Noa’s life on death row, you will be disappointed. This book is not about Noa’s life on death row. This book is not even about Noa’s death. The book is about her life and how her choices (with some help from Marlene Dixon) brought her to where she is. There isn’t a whole lot of joy in these pages. It will not leave you feeling uplifted. But there is that lesson, and if you take heed of it, you may hope to avoid many of the mistakes made by people in this book. When Marya Hornbacher published her acclaimed first book, Wasted: A Memoir of Anorexia and Bulimia, she did not yet have a piece of shattering knowledge: the underlying reason for her distress. At age 24, Hornbacher was diagnosed with Type I rapid-cycle bipolar, the most severe form of bipolar disease there is. This is a well-crafted self-portrait of one woman’s life with bipolar disorder. Marya Hornbacher is honest, insightful and brave as she describes the severe ups and downs brought on by her disorder. During her manic episodes, Hornbacher is a classic case of manic symptoms. She experiences racing thoughts, pressured speech, constant motion, reckless behavior, grandiosity, increase in goal-oriented activities and decreased need for sleep. This version of Hornbacher is fast and furious, somewhat delusional and often a lot of fun. When depressed, Hornbacher sinks to the lowest of lows. She loses interest in activities, withdraws from life, sleeps excessively and even cuts herself. Further complicating Hornbacher’s illness is her effort to self-medicate with alcohol and food restriction, resulting in a substance abuse problem and an eating disorder. She is, as they say on the street, one hot mess. Hornbacher takes the reader along as she journeys through her years with bipolar disorder, going in and out of hospitals, moving in and out of relationships, enduring extensive medication trials and crippling side effects. At the heart of the story is her family – a closely knit circle of devoted loved ones– who advocate and fight for her. Many times they are her saving grace. If you are living with bipolar disorder, or if you know someone who is, this book is a MUST READ. Hornbacher paints a real and haunting picture of the illness and ultimately teaches the reader that, even though it is possible to die from bipolar disorder, it is equally possible to have a life with bipolar disorder. The final message is one of hope. Narrator Tavia Gilbert reads this book with doses of levity, capturing Hornbacher’s dark humor that appears throughout. My only complaint is that Gilbert also narrated the much less stellar “Voluntary Madness” by Norah Vincent. Her narration across the two books is fantastic, but I kept getting a sense of déjà vu – as if I had read this before. Lia and Cassie were best friends, wintergirls frozen in matchstick bodies. But now Cassie is dead. Lia's mother is busy saving other people's lives.Her father is away on business. Her stepmother is clueless. And the voice inside Lia's head keeps telling her to remain in control, stay strong, lose more, weigh less. If she keeps on going this way - thin, thinner, thinnest - maybe she'll disappear altogether. At the beginning of this audiobook, I wondered if something was wrong with the recording. I asked myself, “Why are the chapters formatted this way?” I quickly realized they were formatted like numbers on a scale, and this was an appropriate choice for a book about a teenage girl with an eating disorder. “Just eat!” her loved ones demand. But for Lia, it isn’t that simple. She is broken, and no one seems skilled enough to put her pieces back together. Her mother, a surgeon, treats her like a case study. Her father, newly married, is too busy. And her best friend Cassie, who also struggles with an eating disorder, has just been found dead. The most helpful person in the story seems to be Elijah, a young drifter who works at the hotel where Cassie died. Lia tells herself to stay strong by staying empty. Her weight keeps dropping. In the end it is Elijah who most effectively pushes Lia toward life. Author Laurie Halse Anderson writes about an eating disorder with the intimacy of someone who has experienced one. After a little while you realize that there are two ways the story could go. Lia could get better. Or she could die. “Wintergirls” is a stunning piece of young adult fiction. It is raw and real. It isn’t pretty. It is, in fact, rather ugly. And painful. But if you’ve ever loved someone with an eating disorder, or someone with a touch of madness, you should listen to this book. It will open up your heart even while it is breaking it.